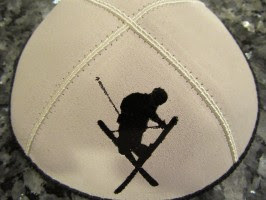 Custom and hand-painted, which the yarmulke you receive is one of a kind! 100% family-owned and operated. Support your local economy! ARCHIE INVITES YOU TO COME IN TO OUR WEBSITE! Free Clips On All Orders! 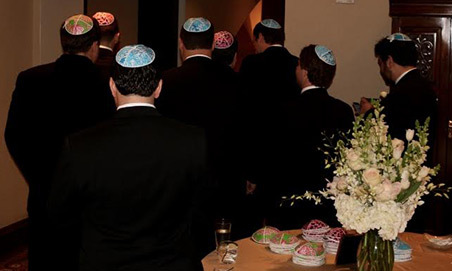 Megan & Jay created their own unique kippot with their own fabric. Brand new product lines from Mazeltops! 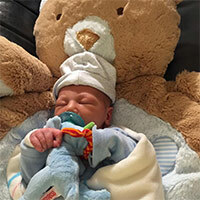 The happiest babies sleep soundly on their bear rugs with their wubinub pacifiers. 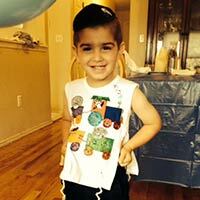 The Happiest Boys on Earth Wear Mazeltops Tzitzits! Our newest design modeled by Shuey! Be proud of who you are! Let your family colors show. 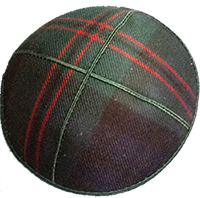 Brand New Tartan Kippahs made with your family pattern. It does not take a rocket scientist to figure out who won the World Series! Orders for Nov 4, 2016! Mazeltops is Now On Facebook! Check out our new Facebook page and LIKE us to receive updates on new releases!